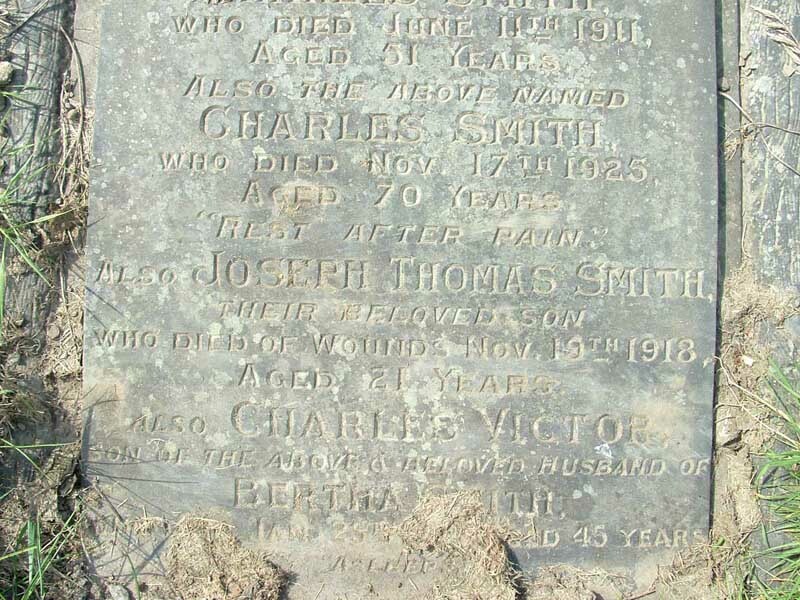 Prior to enlisting he was a butcher at Wild and son, South St Moor. Military Medal details appear in Sheffield Daily Independent Tuesday 3rd July 1917. Born at Sheffield 1897, he was Sergeant # 201720 1/4th (Hallamshires) York & Lancs Rgt. Joseph died of wounds received at Camberwell TF Hospital, London 19/11/1918.